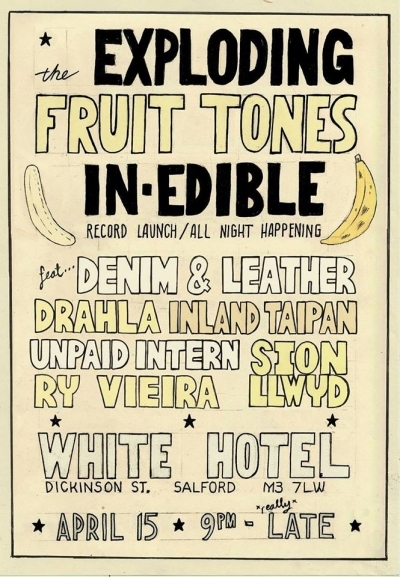 This is a poster for an all-night gig at the White Hotel for the Fruit Tones' record launch. The gig featured the Fruit Tones, Drahla, Unpaid Intern, Inland Taipan, Ry Vieira and Sion Llwyd. Denim & Leather appeared on the poster but did not play.